Is your dog in need of a tidy up, a short back and sides, trim, or just a nail clip? Listed on this website you will find details for Dog Groomers in your area, ranging from Dog Grooming salons, mobile units who come to your own home or groomers who work from their own homes. 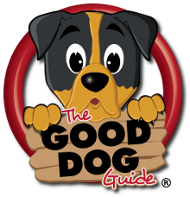 We advise you to always check the groomers credentials and make sure you have fully explained the service or cut you would like carried out for your dog. When making an enquiry we advise you to ask the business for relevant insurance details, DBS checks and licences, that may be required for the services they provide.